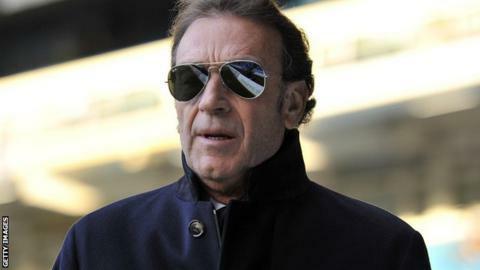 Leeds United chairman Massimo Cellino has submitted his appeal against a Football League ban. The Italian has been disqualified under the owners' and directors' test after being found guilty of an offence under Italian tax legislation relating to the non-payment of VAT in June. Cellino, 59, had until Wednesday, 28 October to submit his appeal against his second ban in a year. If he is unsuccessful, it is likely he will be banned until June 2016. The Football League has confirmed that his appeal "will be heard in due course by an independent league arbitration panel". Under League regulations, Cellino can continue to run Leeds until 11 November - 28 days from when he was informed of his disqualification on 14 October. The League has also confirmed that the former Cagliari owner has applied for his ban to be "stayed until the end of the appeal process", but it is not known whether this has been granted. Cellino, who took over at Elland Road in April 2014, was banned by the Football League last December after they obtained documents from an Italian court, which had found him guilty of tax evasion in relation to his failing to pay import duty on a yacht. He returned to the club's board in May after having his initial ban extended from 10 April to 3 May.